AI was compared to the discovery of fire, but its impact hinges on how creative we are with the technology—just like it did for early humans employing fire. Here are four diverse examples of applied AI to get your creative juices flowing. Recently, Google’s CEO, Sundar Pichai, likened the impact of artificial intelligence to the discovery of fire. In the same way our distant ancestors’ world was transformed by an invention that literally turned night into day, the foundations of how our society operates is about to undergo a similar shift. But will artificial intelligence really live up to the hype? That all depends on you and what you decide to do with it. Fire was meaningless until creative cavemen figured out exactly what to do with it. Put contained fire in the middle of your village, and you have a meeting place at night. Put fire on the end of a stick, and you have a torch to explore dark caves. Put food on the end of a stick, and you can cook it in your fire. The same goes for machine learning. There are of course technical hurdles to overcome, but the other part of the equation is about creativity. How can we apply the abilities of deep learning to create new things, solve new problems, and make the world a more interesting place? It pays off to get inspiration from others. We research the applications of artificial intelligence, and on a daily basis, we find new and interesting ways people are putting it to use. So without further ado, here are four things some innovative people are doing with machine learning that will hopefully surprise and inspire you. Age is relative, as they say. We tend to measure how “old” we are based on how many times the earth has revolved around the sun since we were born, but a temporal measurement isn’t always the best. It doesn’t give you insight into your biological age. This is essentially a measure of how fast your body is deteriorating. If you are a really fit person but have the same temporal age as someone else that blobs around all day, you may have a younger biological age. It’s glitchy and definitely has its flaws, but this deep learning and augmented reality combo brings together the best of today’s technology to one ultimate purpose—to bring a dancing John Travolta and Uma Thurman into your living room. Machine learning recognizes the two characters from the movie Pulp Fiction, separates them from everything else, and pulls them into your AR view. Maybe you don’t care about John or Uma, but the technology is telling of what’s to come. What if you could pull lemurs or llamas from a National Geographic video and project them into your otherwise mundane backyard? Speaking of video and images, the fun doesn’t stop with Travolta. 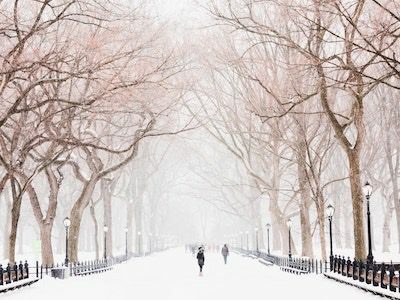 With the clever usage of generative adversarial networks, there comes a piece of technology that can take a mundane summer video or image and convert it into a winter wonderland. It might seem like a trivial novelty at first, but when you realize we are getting closer and closer to technology that can easily make a video taken in one season look like it was taken in the opposite, you start to realize the scope to which videos can be edited in an automated fashion. This will hopefully be used for positive ends (reducing production costs for feature films?) and not for nefarious ends. The National Center for Research on Earthquake Engineering is working hard to warn people about an impending earthquake—hopefully giving them enough time to get to a safe location. 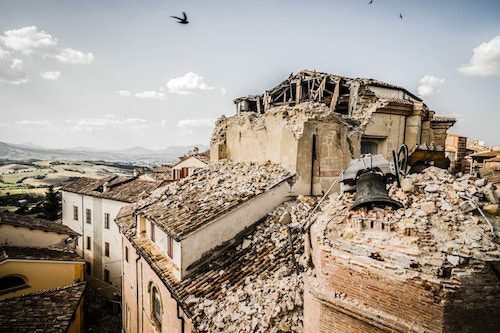 Give this machine learning tech just three seconds, and it can detect the strength of oncoming earthquakes. It does this by reading microseismic P-waves that are essentially invisible to people, but detectable via machine. With obvious value, this application could be used to directly save people’s lives from impending disaster. Applying machine learning for interesting and useful purposes takes not only a high amount of technical skill, but also a high amount of creativity and an observant eye for what is currently being done. Hopefully this short list has given you a taste for some diverse and niche use cases and helps you on your journey to creating the new killer machine learning app. If you need further inspiration, here is a long and growing list of AI applications. Bio: Curtis Seare has worked as a data scientist for nine years. He’s currently the Director of Analytics for ShelfBucks, a retail IoT startup. He also writes for vaultanalytics.com and cohosts the Data Crunch Podcast.